None of her neighbours noticed her living conditions. 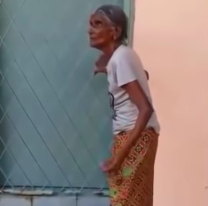 Sin Chew Daily reported that the woman had been beaten, splashed with water, insulted, and barred from using the toilet in her nephew's house for years. She was found by the Malaysian Tamilar Kural (MTK), a non-governmental organisation, drenched and sitting by herself outside the house. She was also believed to be afraid of her nephew's sudden return. She told MTK representatives that her eyesight began to blur last year, but her condition was ignored by her nephew's family. She eventually turned blind without necessary medical help. Furthermore, the woman had endured physical abuse by all five children of her nephew. The woman was rescued and put in a car to be sent to Hospital Bukit Mertajam. She is currently under the care of the Central Seberang Perai Welfare Department. 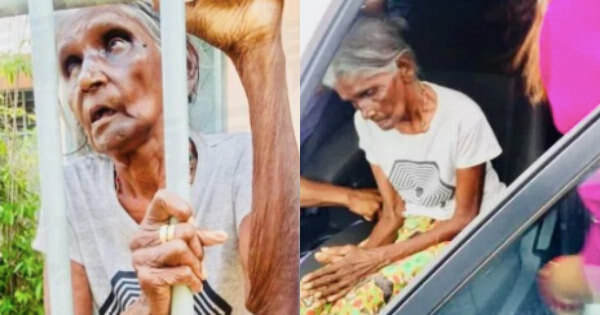 The woman, who is a recipient of the RM300 monthly allowance for the elderly, vowed to never return to her nephew's house. The arrests were made after MTK representatives lodged a police report on behalf of the woman. Oriental Daily reported Central Seberang Prai district police chief ACP Nik Ros Azhan Nik Abdul Hamid as saying that the suspects are being investigated under Section 324 of the Penal Code for voluntarily causing hurt by dangerous weapons or means. Nik Ros added that the police have filed an application to extend the remand of the suspects. She was assaulted over a period of three months. The two portraits were part of the a month-long exhibition. No other Durex products are affected by the recall.